I have been flying a lot of “tiny whoops” lately. Two reasons mainly: 1. I live in the Chicago area and the winter weather has been brutal so I am forced to fly indoors. 2. I love these tiny things. I’ve flown dozens of different models and they are a blast. The ducts act like bumpers and I can bounce off the walls or couch and keep flying. I’ve flown brushed and brushless, cheap and expensive, 65 and 75 mm models. The TinyHawk is the best. Hands down. It is a larger and more powerful model than almost all of the models 1S models I’ve flown. I’m sticking to 1S models for this comparison as I don’t think that the Mobula or Trashcan are good comparisons. They are much more powerful and I don’t think are really good for indoor flying. Sure you can fly them on a 1S battery and cut their power. But the TinyHawk is better in that case and that isn’t what they excel at. The TinyHawk is smooth. I think that is the best way to describe it. Emax really spent time designing it and it shows. The frame is one of the most indestructible I’ve tested. It uses an F4 flight controller with a 600TVL camera and a 25mw VTX. The EMAX 08025 brushless15000KV motors have seemingly the perfect amount of thrust to fly indoors but enough to push it outside as well. It is an awesome drone for a beginner but has enough guts for a pro looking for an indoor quad. The TinyHawk excels flying through micro gates and I recommend getting the BNF Frsky version. 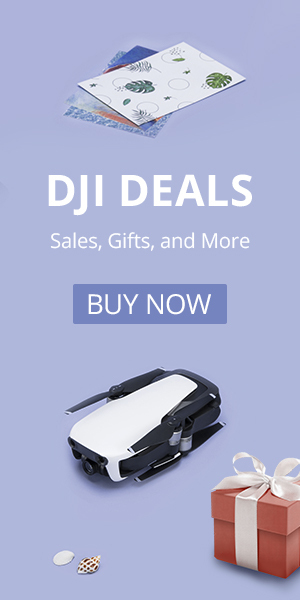 If you are trying to decide on a remote I recommend the Taranis QX7. It won’t break the bank and has excellent, precise gimbals. If you want to know more about choosing a remote check out this article I wrote for DroneDJ.com. It will break it down for you. I feel like the QX7 and TinyHawk is a winning combo. Emax TinyHawk RTF or BNF? The Emax TinyHawk RTF package is a great deal for a beginner. If you don’t have a remote or goggles then the RTF all-in-one package is an awesome deal at $165. You will be hard pressed to find a kit with goggles and a case for near that price. 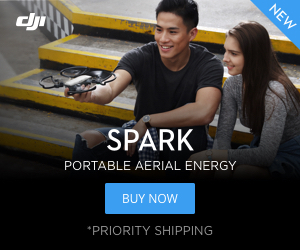 You will get a solid remote, with the drone and goggles. The Emax TinyHawk costs around $100 by itself so that is a steal. Click here to pick up an RTF Tinyhawk all-in-one kit. Emax even included a small carrying case with the TinyHawk. It fits the drone, the multi-battery charger, some extra batteries, and props. Yes, Emax gives you a six-battery USB multicharger that can switch from 4.2 to 4.35 HV is you want. The included case is nice but I upgraded to an inexpensive aftermarket one that will hold a few more batteries and my QX7. Check out the case I use HERE. It is a pretty good deal for just $25. This aftermarket case was less than $30 and works great with my TinyHawk and QX7. Emax preprogrammed multiple profiles and rates so if you aren’t super familiar with tuning in Betaflight you can use theirs. The default is set to profile 1, rate 1 which limits the angle and sensitivity. I’m flying on profile 2 rate 2 with has the highest angle and quickest rates. You’ll have to find what works best for you. Not only did Emax set up different profiles but they also set up a beeper mode and a turtle mode for you in Betaflight. No, it isn’t tricky to do yourself but it is nice to see a company that does the little things. The biggest drawback of the TinyHawk is that it will not flip over in turtle mode. The tri-blade propellers are designed for higher rpms and do not generate enough thrust. You can pick up four blade propellers that will allow you to flip over. They also tend to make the TinyHawk a little more docile. I would have liked to have seen them included with the quad. Should you get a TinyHawk? If you are new to FPV or are looking for a good indoor drone then the TinyHawk is the drone I would recommend. Its combination of power, stability, and durability are hard to beat. I ordered mine from Amazon($109) with a few extra batteries. You can get it cheaper from Banggood but I didn’t want to wait for it. It is my new favorite drone. Check back soon or check out our YouTube channel for a flight review. However, if you are looking for alternatives I have an inexpensive option. The Tinyhawk, BabyHawk and BabyHawk R are all excellent Emax quads. The Eachine M80($56) or Mirarobot M85($73) is a brushed 75 mm whoop. It uses 8.5 mm motors, making it more powerful than almost any other brushed whoop out there. You can get it with a remote or as a BNF version. Either way it is a solid deal. This is one of the only brushed quads I’ve ever flown that has a turtle mode. That means you can flip it over with the push of a button after a crash. The Eachine M80S is an excellent quadcopter and a solid low cost option, especially for indoor flying. The Eachine M80 is also both durable and versatile. It has a solid reinforced plastic frame that has stood up to countless crashes. You can fly this quad in angle or acro mode and it even has an altitude hold mode. All of these flight modes are great with beginner pilots as they can grow as their skills increase but not have to worry about having to get another drone. If you want a remote I recommend the Mirarobot M85 version.